Heart disease is a major complication of lupus. It is now a leading cause of death among people with lupus. People with lupus have a significantly increased risk of premature coronary heart disease (CHD) or atherosclerosis, stroke and other cardiovascular-related conditions than those without lupus. Some studies suggest risks of people with lupus are more than 50 times that of the general population. 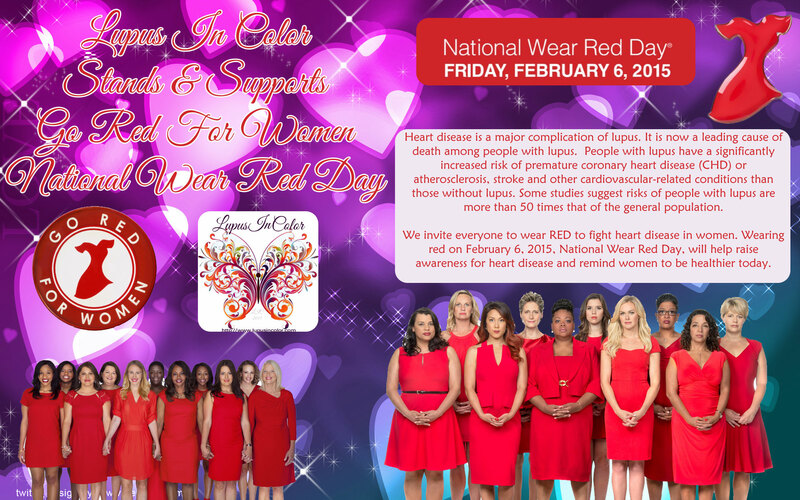 We invite everyone to wear RED to fight heart disease in women. Wearing red on February 6, 2015, National Wear Red Day, will help raise awareness for heart disease and remind women to be healthier today.